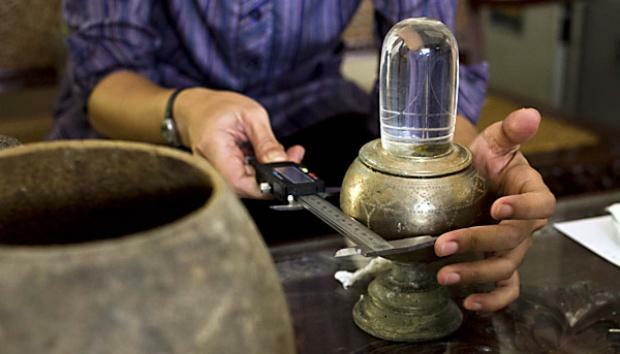 Unique Siva Lingam found at Candi Sukuh, Java, Indonesia is made of glass and encased in a bronze cup. Water stored in this cup has not dried even today. 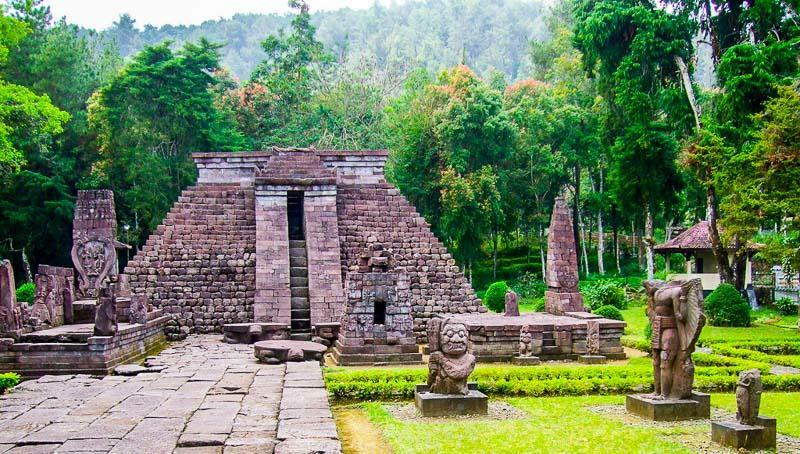 Candi Sukuh [ˈtʃandi ˈsukʊh] is a 15th-century Javanese-Hindu temple (candi) that is located on the western slope of Mount Lawu (elevation 910 metres (2,990 ft)) on the border between Central and East Java provinces. Candi Sukuh was one of the last temples constructed in Indonesia before the country came under the influence of Islam. The temple is significant because of its association with Lord Shiva, Mahabharata and the pyramid shaped architecture resembles that of a Mayan temple in Mexico. Indonesia became a predominantly Muslim country between the 13th and 16th centuries, and had a long and rich Hindu history prior to that. Evidences exists in the form of numerous ancient temples spread across the islands that together form the country. Founder of Candi Sukuh thought that the slope of Mount Lawu was a sacred place for worshiping the ancestors and nature spirits and for observance of the fertility cults. The monument was built around 1437 CE, as written as a chronogram date on the western gate, meaning that the area was under the rule of the Majapahit Kingdom during its end (1293–1500 CE). Some archaeologists believe the founder had cast the fall of Majapahit, based on the reliefs that displaying the feud between two aristocratic houses, symbolizing two internal conflicts in the kingdom. In 1815, Sir Thomas Raffles, the ruler of Java during 1811–1816, visited the temple and found it in bad condition. Many statues had been thrown down on the ground and most of the figures had been decapitated. Raffles also found the giant lingga statue broken into two pieces, which was then glued together. This vandalism of traditional culture (especially where sexuality is not suppressed, as in the statues) is likely to be an effect of the Islamic invasion of Java during the 16th century, based upon the identical patterns found in all other Islamic and monotheistic invasions generally. Though the Glass Siva Lingam found in bronze cup is hidden here during Islamic invasions, it could have been made much earlier than the temple. 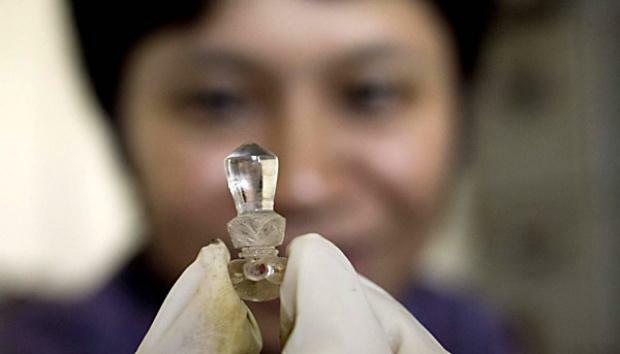 It is believed that this glass Lingam is from 1000 CE, while temple was built around 1437 CE. 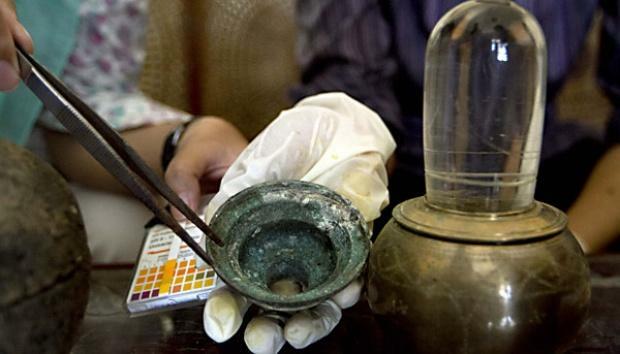 Surprisingly, water stored in the bronze cup was not dry, although it has been stored for many centuries. Archaeologists have tested acidity of this water and found it to be pure even today. The water in the bronze cup could be perplexing to the scientific mind but to the locals it is elixir, or Amrit. In fact, a story of the Amrit from the Adi Parwa of the Mahabharata can be found inscribed on one of the walls of Candi Sukuh. 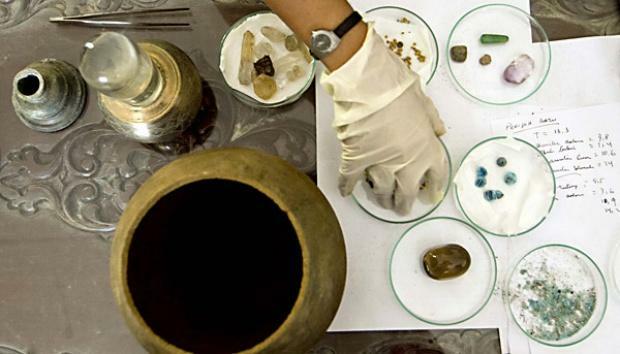 Among other artefacts are jewellery such as bangles. These ancient jars and their contents are currently being stored in the Archaeological Heritage Preservation Hall of Central Java, Prambanan, Klaten. There are multiple reliefs depicting scenes from Mahabharata and also related to worship of Lord Siva. 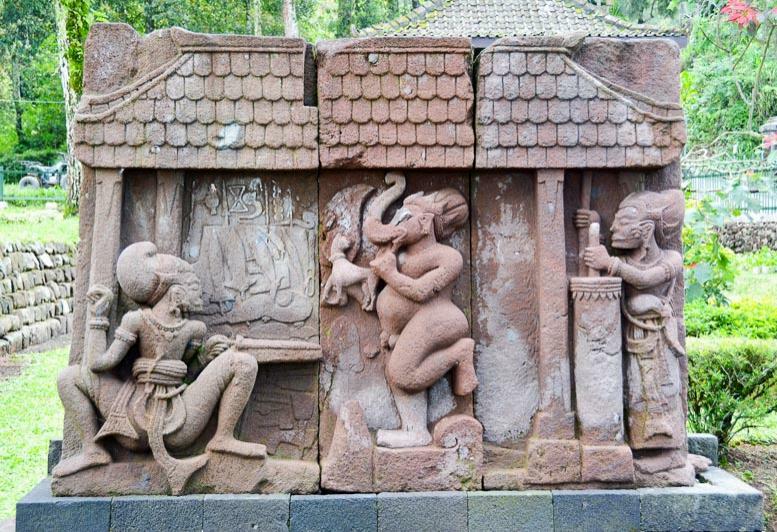 On such reliefs at Candi Sukuh depict Arjuna, Lord Ganesha and Bheema besides numerous motifs related to Siva worship.